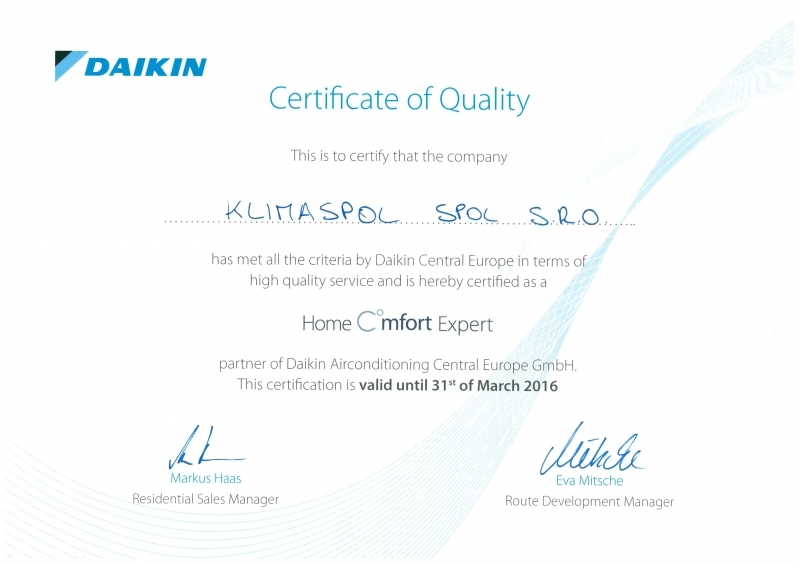 Certificate of Quality Daikin | KLIMASPOL. spol. s r.o. Partner of Daikin Airconditioning Central Europe GmbH.